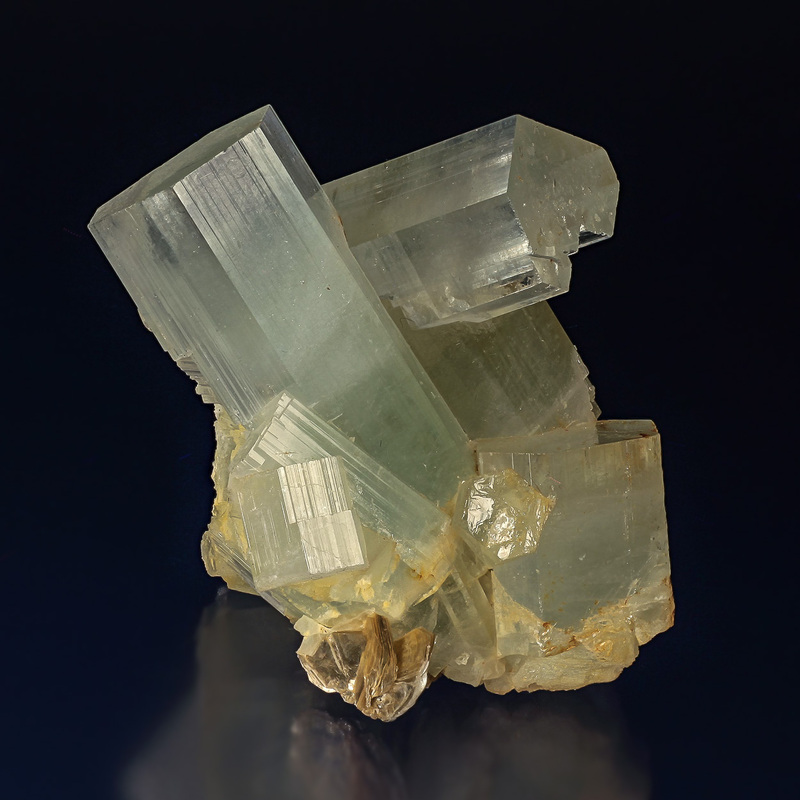 This is a fine specimen with transparent, hexagonal crystals of pale bluish crystals of aquamarine, a member of the beryll group. 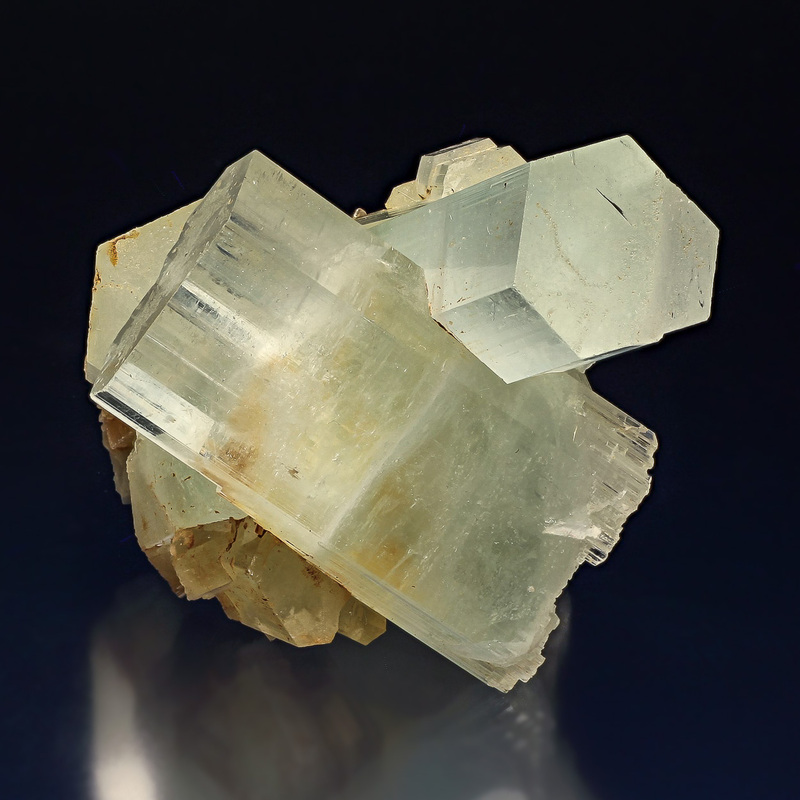 The crystals are razor sharp, highly lustrous and excellent in lenght striated. One crystal is doubly terminated. A super specimen without damages worth to mention.